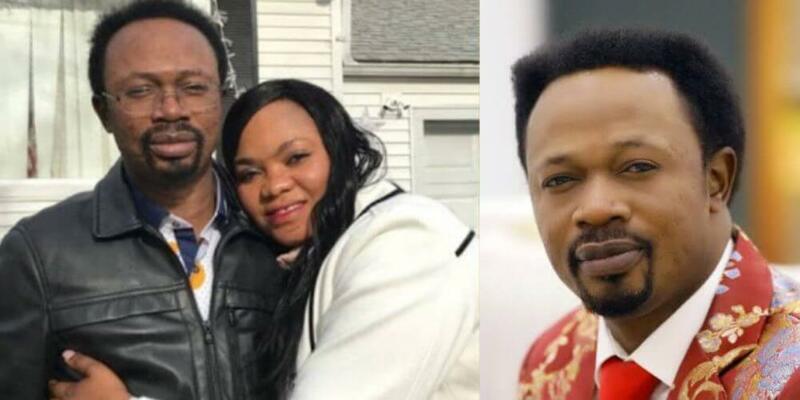 Prophet Joshua Iginla of the Champions Royal Assembly in Abuja has left his congregation in shock after admitting that he and his wife cheated on each other and had children out of wedlock. Iginla, during a Sunday service in his church, also announced that he had divorced his wife, Yemisi , over allegations bordering on infidelity. The popular prophet, who apologized to his children for bringing the matter to the public, told his congregation that his wife cheated on him and brought an “unholy child” to his house. In a video currently trending on social media, Iginla said he also paid his wife back in her own coin by going out to get “a child outside of wedlock and then it became a battle in the family”. He said, “It’s not easy for me to come out in public to say this, but I warned my wife, she didn’t listen rather she preferred to turn me to a laughing stock’. “When I met my wife we did genotype test and found out that I was my wife was AA and I was AS, but when my daughter arrived I found out she was SS. “It was a battle but we flowed, we later found out my wife was AS. Then one thing led to another and something happens. I don’t want to go into details, but it is something that will make a man divorce his wife, I had scriptural backing for that, I had to cover it up to make sure that my marriage moved with Wife and that led to some many things. “Since I couldn’t divorce my wife because of what people will say I chewed it a pill, I embraced my child and everything was okay. “And somehow she brought an unholy child into the matrimony, I don’t want you to judge my wife or anything, but it led to so many battles, family intervention but we covered it. We would not have gotten to this point if my wife had listened to me when we had the battle. “I have tried for seven years to stable the vehicle but it has not been, I want you to take the blame to be On me. As it is now it has become a pain because when your wife begins to fight you everywhere you go and she refuses to settle in secret. I told her to settle in secret or I will go to the world Confess my sin, receive the insult and end the Marriage. And that is what I am doing now. “She has pushed to this point to the extent that I’m confessing my sin to the whole world, I want the world to know. I covered her up during her time and when mine came she threw me to the wall.I feel I want to end the struggle. I pleaded with her but she chose to make me a laughing stock.